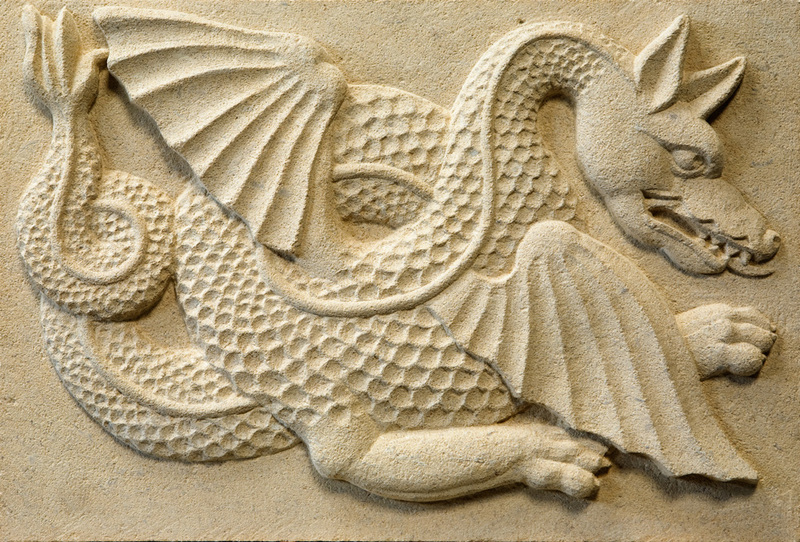 One of the great things about working with stone is the variety of work that’s possible. 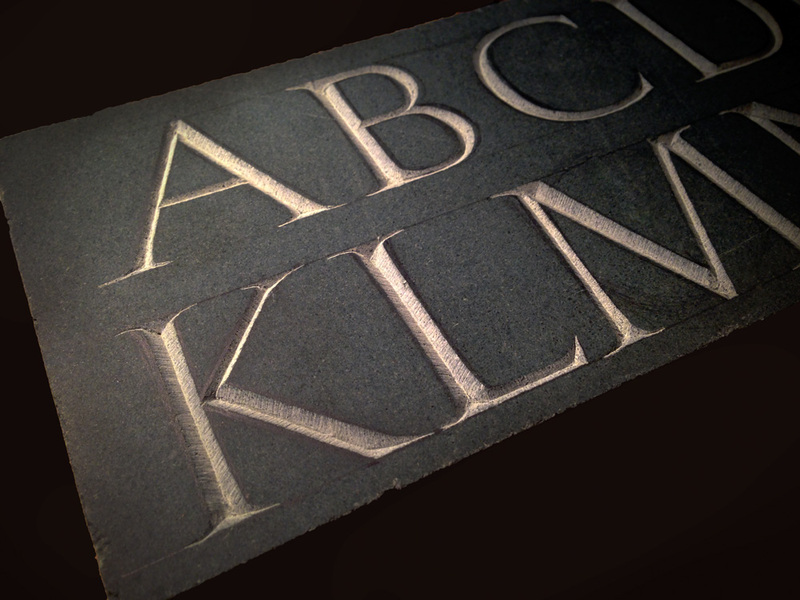 We can produce anything from water-features, sculpture, through to letter carving. This is a very bespoke service which gives you a unique, hand-made centre-piece or objet d’art to adorn your garden. I was involved in the making of this water fountain about 20 years ago. 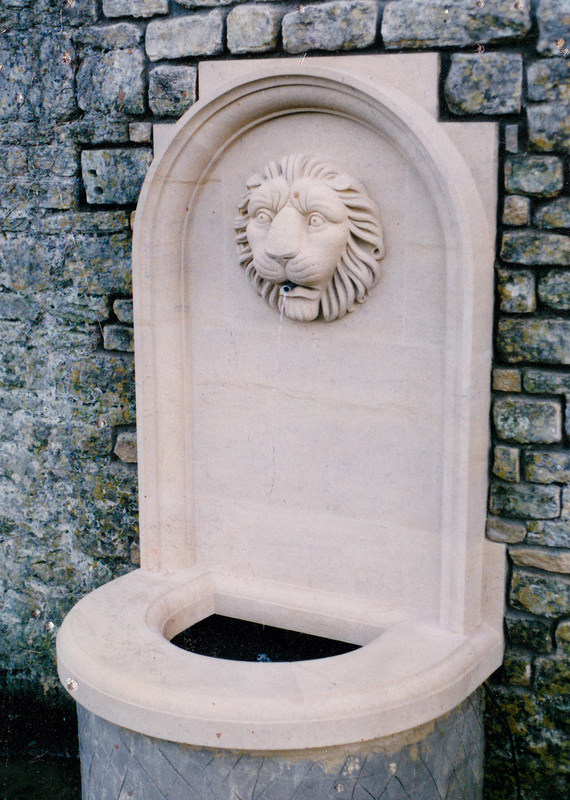 It’s in Bath stone and the masonry had to be 100% precise. The client was extremely pleased. 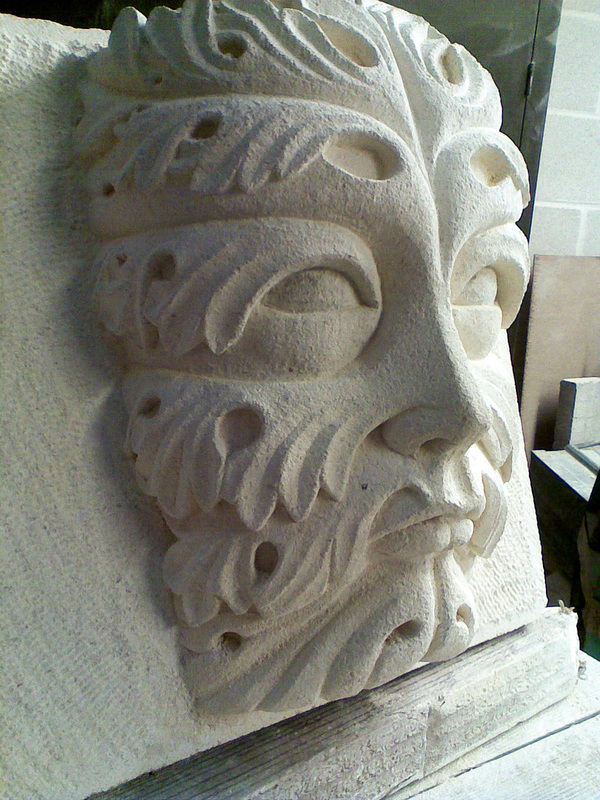 I was also commissioned to produce a Green Man – these are proving very popular at the moment. 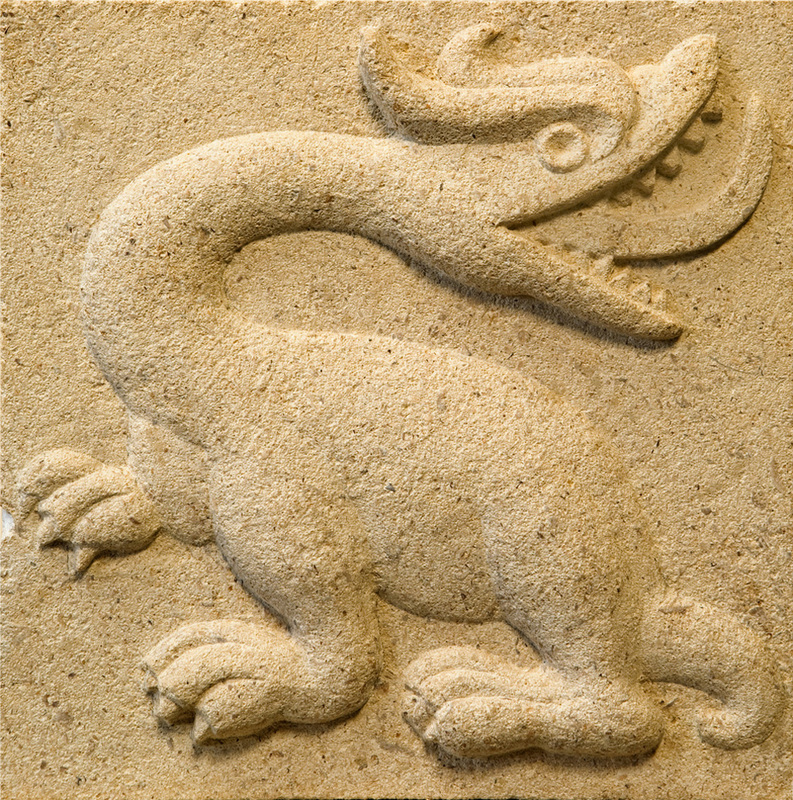 Plaques can be inserted with relief carvings onto retaining walls, such as this wyvern. 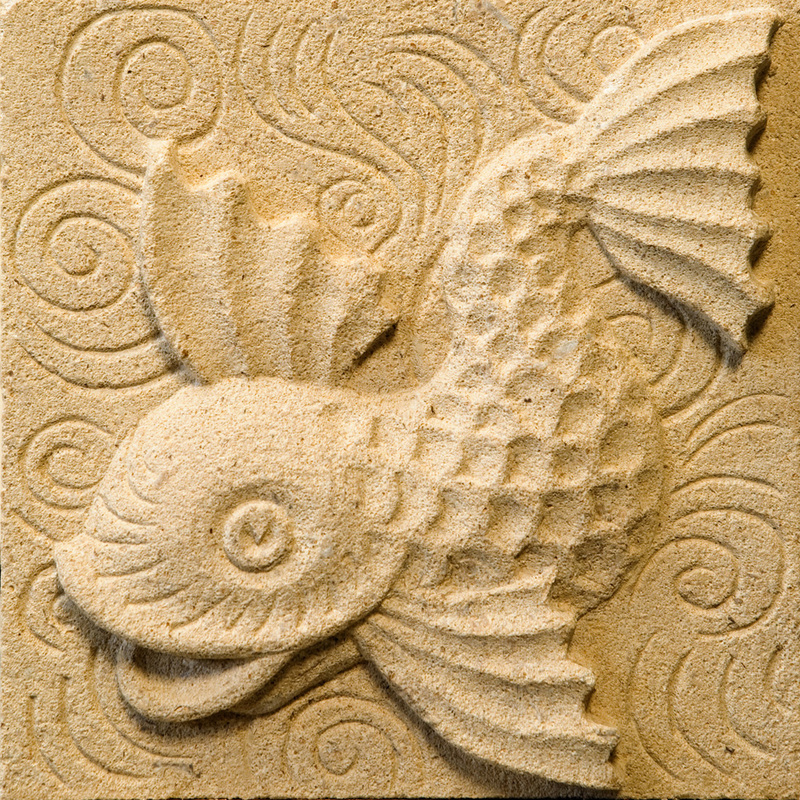 Or if the Arts and Crafts movement is your thing, I produced some relief carvings inspired by the tile designs of William de Morgan. These could be inserted randomly on a tiled wall for instance. Sculpture is of course the ultimate statement in any garden, and can provide a centre-piece. I’ve also repaired statues as well. 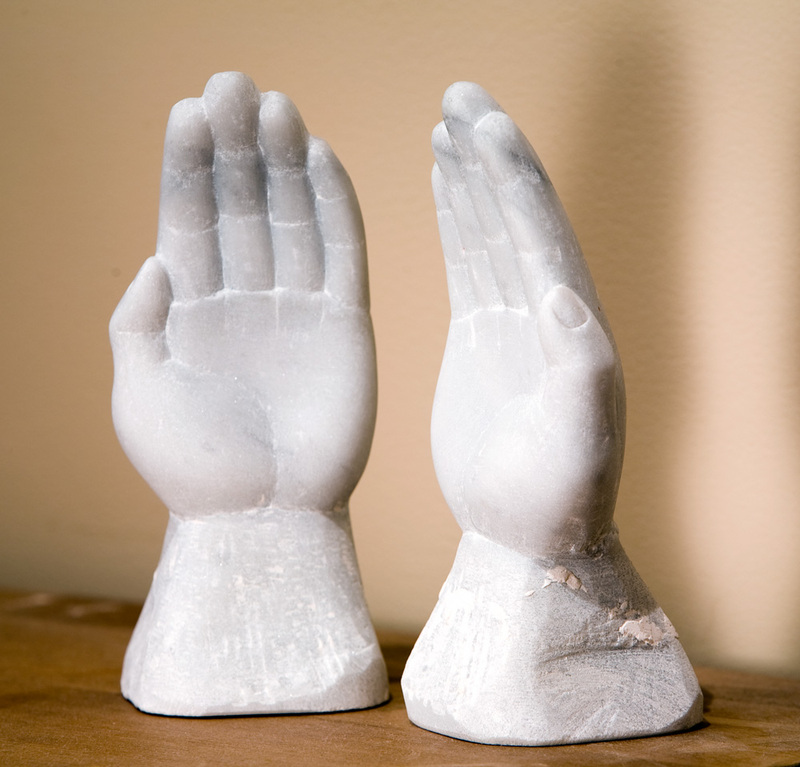 Here are a pair of hands I carved in marble for a long-suffering statue in Letchworth. 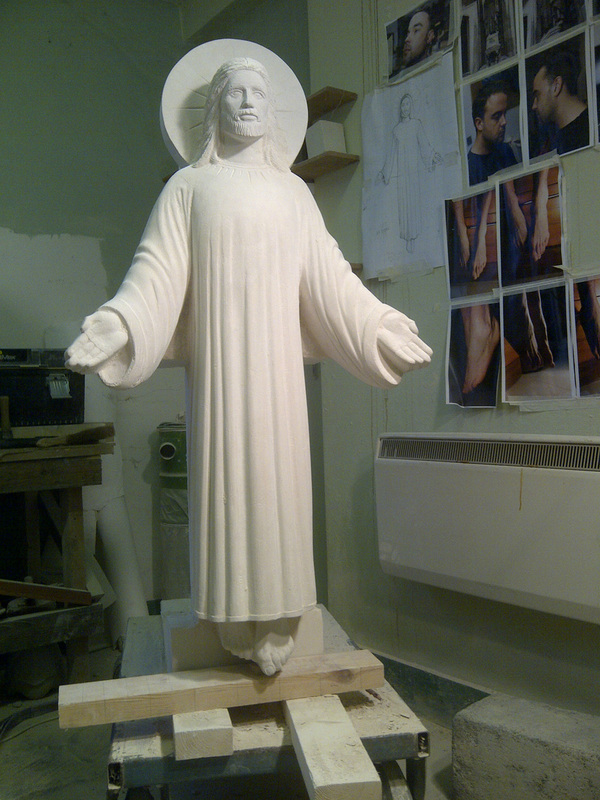 This is probably my most distinguished piece of sculpture – Transfigured Christ. 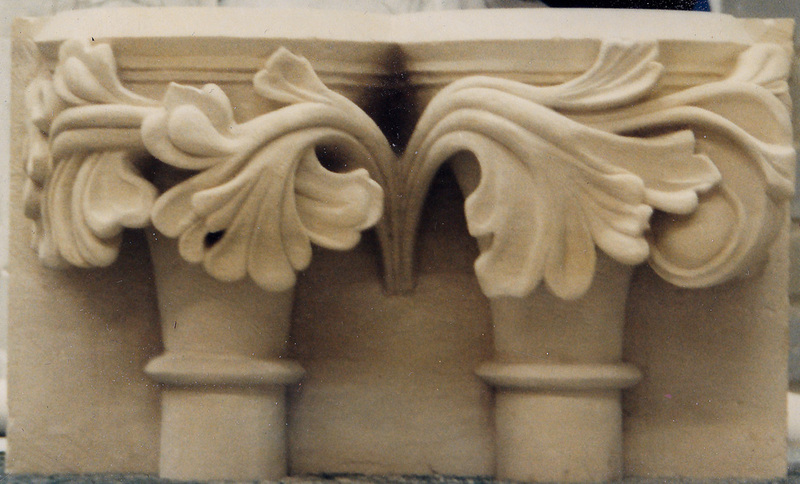 And here are a pair of capitals based on the drawings of Pugin’s father from his journeys in France and Flanders. As you can see, anything is possible so do get in contact to discuss your ideas.